Our I’m Sheet Mask gets a new friend - I’m Hand Cream! This set includes 2 I’m Sheet masks and 2 I’m Hand Creams! 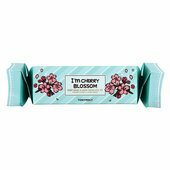 I'm Sheet Mask (Set of 2): Show your skin some love with our nourishing sheet mask. I'm Hand Cream (Set of 2): This moisturizing and nourishing hand cream will hydrate hands without feeling heavy or greasy. 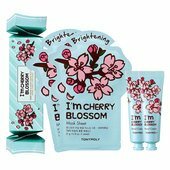 Cherry Blossom: Infused with 1000 ppm of Cherry blossom extract that brightens and illuminates complexion.